Can leadership be automated? Will AI soon take over procurement negotiations, communications and problem-solving? Once thing is for certain – no skill-set will remain uniquely human forever. 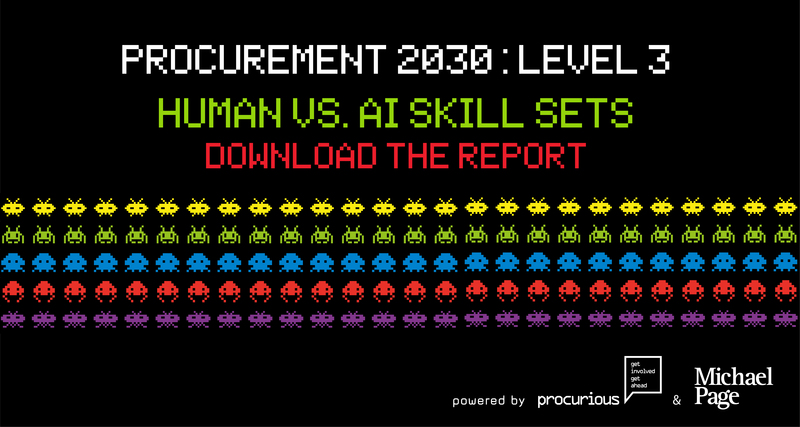 Click image to get your copy of Procurement 2030: Level 3. What is your human advantage? 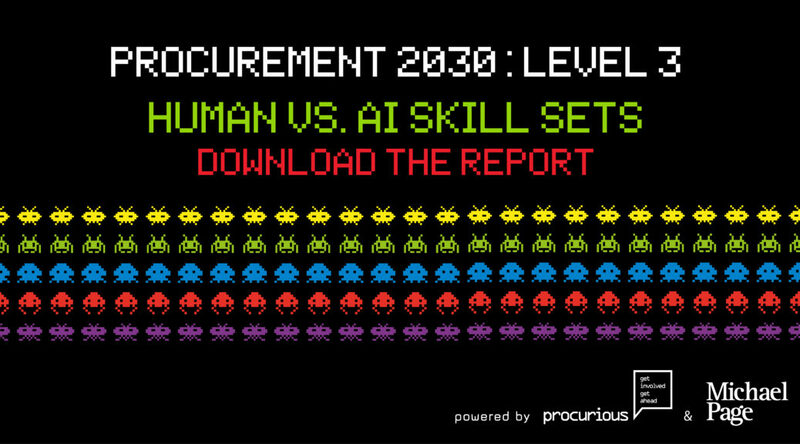 With 42% of the average workload in procurement expected to be automated by 2030, now is the time to take stock of our skill-sets and focus on what makes us uniquely human. Today, the automation of core procurement skills such as data analysis and market research is well underway. Lines are being drawn between those skills that AI has already mastered, those that will be automated in the future, and – critically – the areas where humans still have the advantage over machines … and that’s where soft skills come in. However, categorising procurement skill-sets into 1) core skills for AI and, 2) soft skills for humans oversimplifies the issue. It ignores the fact that the creeping wave of automation increasingly includes soft skills such as communication and problem-solving. Avoid the trap of thinking there are particular skills that AI will never be able to replicate. Surprising results in this research, for example, reveal that very “human” skills such as negotiation and even leadership are seen as likely to be automated. Robots are currently being trained to read and respond to the subtlest of human facial expressions. With this in mind, our research identifies core procurement and soft skills where – for the foreseeable future – humans hold a unique advantage. The ability to influence others, build relationships and think creatively have emerged as stand-out skills that will enable us to future-proof our careers on the cusp of the robotic age. Level One of this four-part series by Procurious and Michael Page UK examined the forecast for procurement and the threats and opportunities facing the profession. Level Two shifted the focus to the practicalities of procurement and supply chain management’s evolution against the backdrop of a technological revolution. This report, Level Three, dives into the core procurement and soft skill-sets to understand exactly which parts of our roles are expected to be automated, and offers advice on the skills that top CPOs will be hiring for by the year 2030. 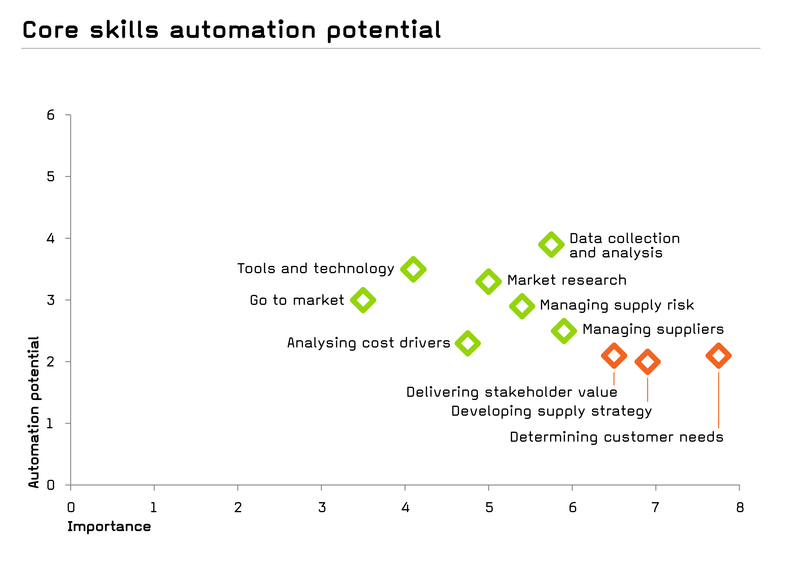 Determining customer needs, developing supply strategy and delivering stakeholder value are not only considered to be the most important core procurement skills, but also the least likely to be automated. Procurement professionals who wish to develop their skills in determining customer needs (both internal and external) should work to improve their ability to build relationships, listen carefully, challenge assumptions, and always look for opportunities to connect the dots, help others and add value. 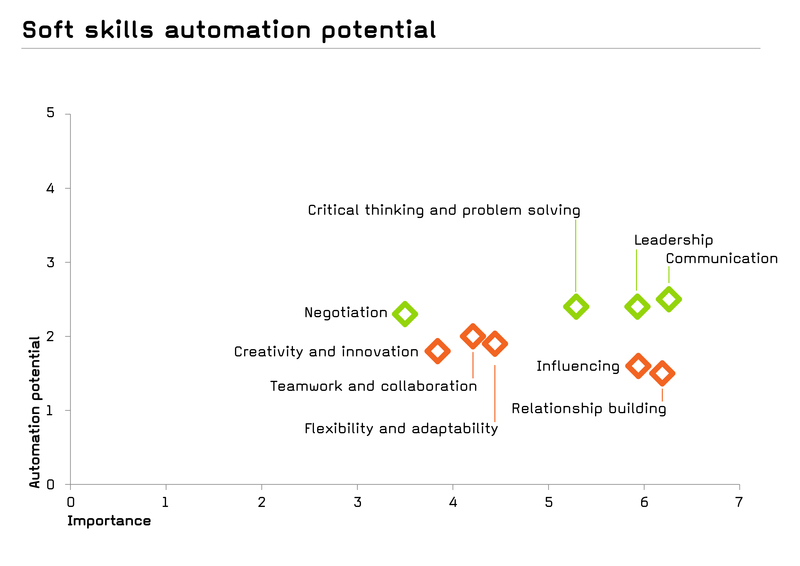 Among the top four soft skills nominated as most likely to be effectively automated, problem-solving, leadership and negotiation have emerged as unexpected results. Robotic problem-solving is an entirely different concept to human creativity and innovation. AI has the superior ability to search and analyse data – for example, the answer to an engineering challenge may already exist in your files, but has been forgotten by human staff. Given the right search parameters,AI can identify the solution. Would you feel comfortable reporting to a machine? Robotic leadership is a fascinating concept. Robots may very well have the ability to check your work and track your KPIs, but are not yet capable of motivating or inspiring others, or picking up on the human nuances that are a part of powerful decision making. Negotiating robots already exist, and may soon be considered very useful for conducting low-level, emotionless negotiations that involve no ambiguity or complexity. For strategically important negotiations, however, human skills such as awareness, empathy and flexibility will always have the advantage. This content-packed report also contains links to relevant thought-leadership from Procurious and Michael Page UK, including videos, blog articles, podcasts and webinars. And don’t forget … part 4 of the Procurement 2030 report will be released before the end of the year! CLICK HERE TO DOWNLOAD PROCUREMENT 2030: LEVELS 1 to 3. Previous PostFour Ways To Cultivate Real Confidence And Supercharge Your CareerNext PostALL the video content from #BigIdeas2018 Sydney!